Confused about campervan hire insurance options when considering renting a campervan in Australia? No worries as Travelwheels Campervan Hire Sydney is here to enlighten you! Travelwheels Campervan Hire have three simple and easy to understand campervan hire insurance options. However let’s first talk in general about insurance and why you should make sure you are covered! 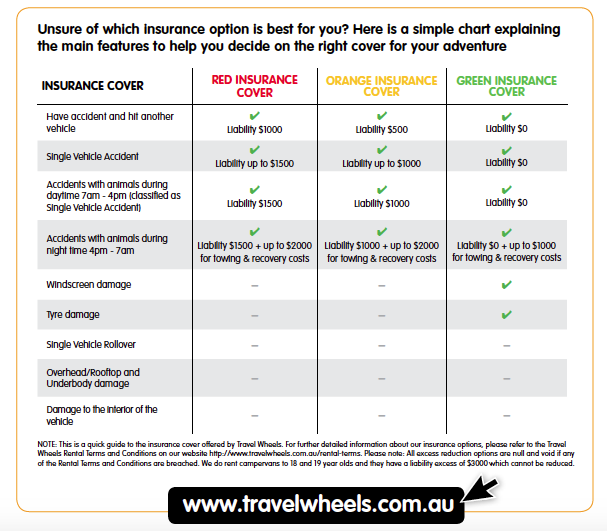 Travelwheels Campervan Hire Insurance OptionsHeb je ? The thing about campervan hire insurance is this ……. you don’t need it until you need it! Some people think that if you take out your own personal travel insurance, then you will be covered by your insurance policy if you have an accident! Unfortunately this is not the case, and we have many sad examples to back this up! 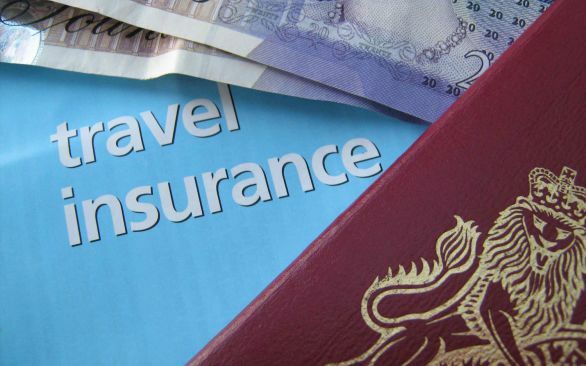 Most personal travel insurance policies cover illness, cancellation of your trip, delays, loss or damage of possessions, travel document and personal liability or accidents. However they don’t cover motor vehicles and that includes a travelwheels campervan hire vehicle. This also applies to our competitors such as Jucy, Hippie, Mighty, Travellers Autobarn and Camperman Australia for example. If you don’t take our campervan hire insurance when renting a campervan with us or any of our competitors then you are running a risk. If you unfortunately have an accident you’ll have to cover the excess which is usually several thousand dollars! There’s no better way to ruin the holiday of a lifetime than to have to pay a huge bill you weren’t expecting! One wrong move and your holiday could be in ruins, and you could be flying home early! The roads in Australia are not the same as in your home country. Many Australian roads are steep or winding, so the likelihood of an accident or damage to the vehicle may be higher than you would expect in your country. In Australia they drive on the left hand side of the road! Most European countries, Central, South and North America drive on the right hand side of the road! You’re more likely to have an accident in a campervan than in a car simply because of the campervan’s dimensions – it’s higher, longer and wider than the vehicle you drive every day. Australia has so many wild animals roaming the countryside at night! Please don’t drive at night as there is a big chance of an accident with an animal! Below is a quick guide showing you the information you need to work out which insurance policy is best for your holiday. Please note: these insurance options can change at any time, so please refer to the terms and conditions for further details. You can call Travelwheels on 0412766616 in Australia and it’s free on most landlines (some mobile companies may charge you a fee). You can also visit our campervan hire store in Sydney at shop 2, 191 William Street, Darlinghurst, Sydney. We are a 5 minute walk from Kings Cross Train Station.